News, new cars, review, spyshots. Anything and everything automotive. Have You Just Discovered SilveradoSS.com? Been Around Awhile But Never Introduced Yourself? Come On In & Say Hi! Share your own pictures, movies, or favorite multimedia tidbits. *New Forum* - A section dedicated to the skill required to own, use, and operate a gun. During season, also for hunting discussion. *New Forum* - A wide ranging forum that covers everything from major racing and sporting events to hiking, camping, fishing, ATV's, and the great outdoors. *New Forum* - Pass another SS on the road today? See someone with a SilveradoSS.com decal but couldn't say hello? Or maybe you just came across an SS online or on the road that everyone else should see? This is a forum to share those experiences. So, just picked up an SS or VHO? Maybe just a new truck in general? Tell us about it! Planning an event or meetup? Invite the entire crew! 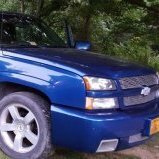 Vote for the official SilveradoSS.com Truck of the Month! A new truck is crowned every month. From adding XM radio to installing subs, security systems, and other electronic and entertainment devices. Post Your Items For Sale Or Ask Around And See If Anyone Has What You Want! This forum is dedicated to the art of rolling. Post anything related to your rims, tires, tire pressure monitor sensors, fixing a flat, and general maintenance here. All of your personal tuning concerns here (LS1 Edit, HP Tuners, EFI Live, Wideband, Logging Equipment, etc..) NO VENDOR PRAISES. NO POSTS ON HANDHELD UNITS OR MAIL ORDER TUNING. This section for all turbo, supercharger, and nitrous related posts. 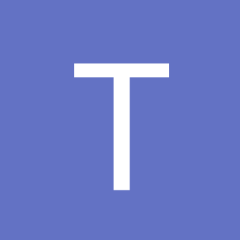 An entire forum dedicated to making your SS look amazing. Vehicle cleaning, waxing, buffing, paint repair, tint, and other appearance related topics. Did You Buy Something And Just Had The Best Service EVER? Or Did You Just Shell Out Your Money For Nothing? Post About It In Here! Your Source For Authorized GM Parts At Prices WELL Below What Your Dealer Would Sell It To You! Hi i need to get this input shaft. How do i contact you? I’m getting a real bad vibration at speeds between 55-60 MPH I feel it right under my feet anybody knows what this could be ??? And what would it cost to repair this ?? ?